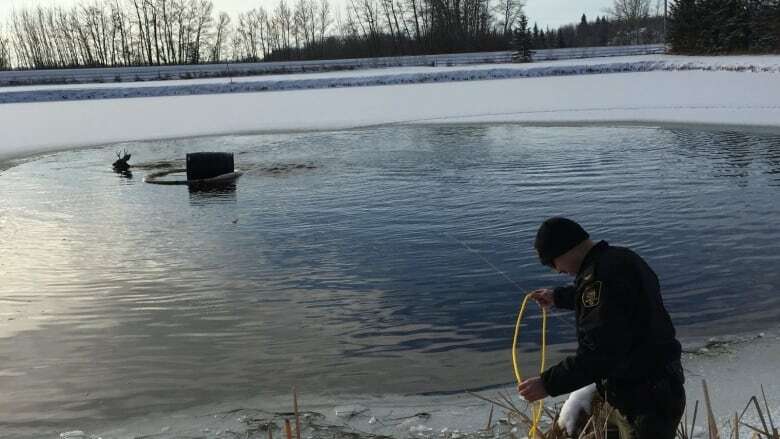 It may have looked like an Alberta Fish and Wildlife officer was practising his roping skills, but he was actually saving a young deer from drowning. A mule deer had fallen through the ice on a dugout about a kilometre west of Fairview, Alta., on Nov. 12. A community member who saw the deer struggling and unable to get out of the water called Alberta Fish and Wildlife. The dugout was being aerated to maintain water quality over the winter so the ice layer was too thin for officers to walk on to reach the deer. They were arranging to get a neighbour to break up the ice with a backhoe, when the deer got closer. "The deer was close enough where you could get a big enough loop and throw it out there," said Logan Proulx, one of the officers responding to the call. Proulx's partner Dan Downie didn't have any experience roping, but thought he could make the throw. He roped the deer's antlers in one try. "Call it luck or whatever, he doesn't have any background in ranching or anything like that," Proulx said. Together they dragged the deer by the antlers and it "just popped right up onto the ice," he said. The deer seemed tired after the rescue, hanging around for awhile regaining its strength, he said. "Once it did, it looked very normal and got the energy to just walk off into the woods." Alberta Fish and Wildlife are reminding rural landowners to post highly-visible signs near aerated bodies of water on their property. Young children and people snowmobiling are especially at risk of falling into such dugouts. 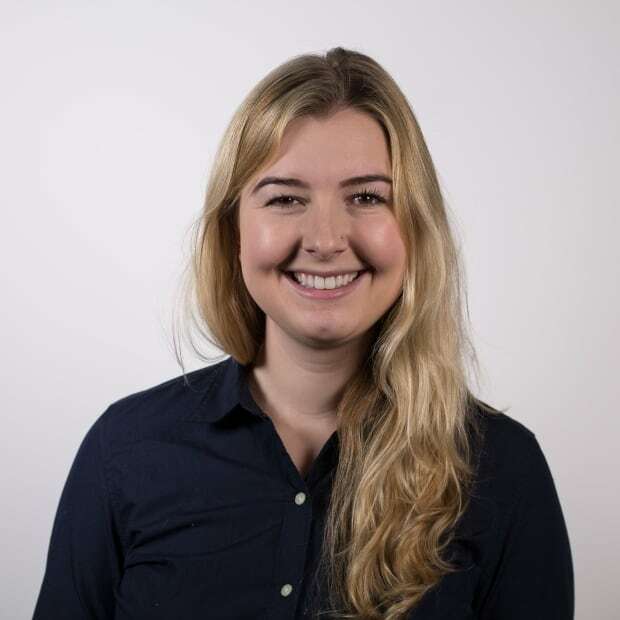 Emily Rendell-Watson is an Edmonton-based journalist. You can reach her at emily.rendell-watson@cbc.ca.